Did you know that the Windows Registry is loaded during the start of the Windows operating system? That its size has a direct impact on the startup time of the operating system? 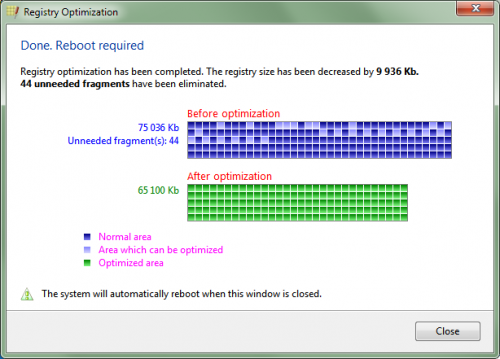 Optimizing the Windows Registry, which often is referred to as defragmenting it, is an option to reduce the size of the system file to speed up the boot process of the system. 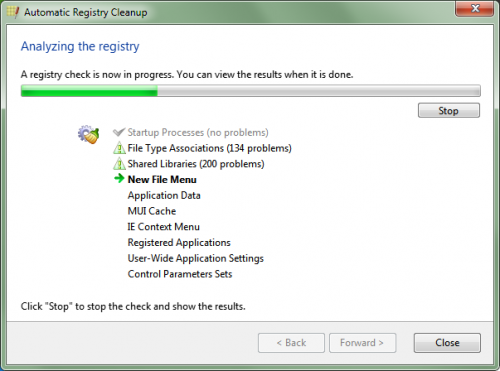 Registry Life is a free software program for Windows that can not only optimize the Registry, but also clean it. Cleaning the Registry involves removing invalid entries and other problems from the it, to avoid problems, and remove Registry keys that are not longer needed. This can again reduce the final size of an optimized Registry. 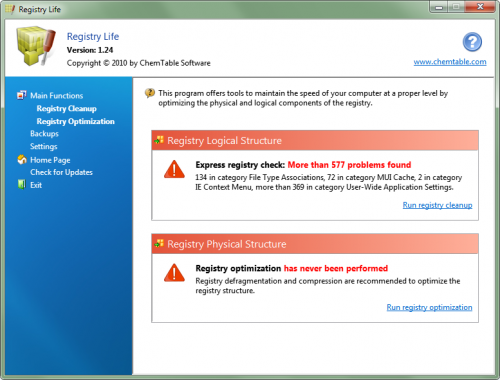 Registry life scans the Windows Registry on startup and displays a number of problems as a result of the scan. This first check is a fast check to see whether problems exist in the Registry. A click on Run Registry cleanup or Registry Cleanup in the sidebar opens the Automatic Registry Cleanup module to perform a thorough scan and cleanup of the Registry. The program scans various groups in the Registry, including file type associations, shared libraries, MUI cache, registered applications or control parameter sets. A click on Fix creates a backup of the corrected Registry entries and removes or correct the Registry settings from the system. 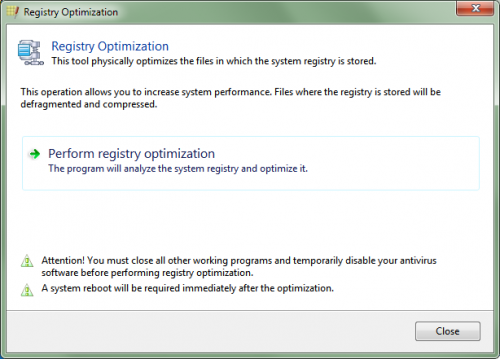 Registry optimization defragments and compresses the Windows Registry. The program will analyze the Registry which can take a moment, and start the defragmentation and compression afterwards. The program reduced the size of the Registry on our Windows 7 Professional 64-bit system from 75 Megabytes to 65 Megabytes, which has a visible impact on the system's startup time. A restart of the system is required after the procedure. Windows users can download Registry 4 Life from the developer's website. The program is compatible with 32-bit and 64-bit editions of Windows 2000 to Windows 7. Interesting. I use Free Registry Defrag (also portable). Wow – they are outright hostile toward the concept of reg cleaners much less the use of one. Btw I run Ccleaner occasionally. While I check the registry error list very carefully I’ve never had any negative after-effects from using it. So I don’t know why they act like you’re asking “should I pour sugar in my gas tank to make my car run smoother”? LOL. They have probably burned back then when Registry Cleaners sometimes deleted important system settings. Simple but powerful software for registry problems, I had long enough time to install this soft. . Good tool. As for me,i use AthTek Registrycleaner.thanks for sharing !